A journal-writing workshop is an ideal place to discuss the context and content of your own journal. On one hand, it’s engaging for the participants when you are vulnerable yourself; it provides a real-life example; and it contributes to creating a safe space for connection through sharing. On the other hand, “oversharing” could trigger unexpected or undesired reactions from the students, derailing the intention of the course. 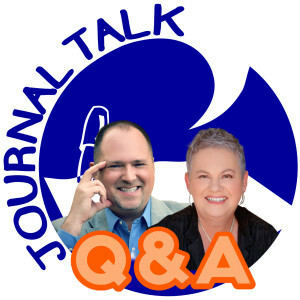 Janet “Wizzy” Wiszowaty of Family Connekt is my co-host this episode. We share our tips, resources and personal examples about encouraging people to share, without letting people’s personal issues overshadow the content of the course. Your turn to answer: Are you a learning to become a journaling facilitator? Do you read your own journals to people in your workshops? 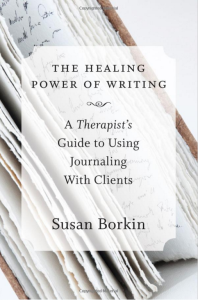 If you are an experienced facilitator, what are some other ways that you encourage participants to share their writing, without risking the course turning into a “therapy circle”? Please post your responses at the bottom of this webpage, in the comments section. To Get Coaching from Nathan: Click here. One of the deepest fears people have about keeping a journal is having their privacy violated. And rightly so. For most of us, privacy ensures safety. And only in a space of complete safety can we allow ourselves to be vulnerably honest. Journal-writing is valuable only to the degree we are willing to honestly explore ourselves and our most precious desires. Whether you’re hiding your notebook, or password-protecting your computer, how can you be sure that your journal is secret? Jayde Gilmore and I discuss our tips and tricks (while also revealing some embarrassing phases of of our own paranoia!) for maintaining privacy, on this episode of JournalTalk Q&A. Your turn to answer: Do you ever worry someone is reading your journal? How do you keep your journal private? Or, are you okay with your journal being an “open book”? Post your responses at the bottom of this webpage, in the comments section. Kim Ades with Frame of Mind Coaching joins me with a response to Dan (and all those who say “thanks but no thanks” to journaling). The key is to stay focused on the practical accomplishments and desired outcomes. Your turn to answer: Do you like the idea of journaling, but can’t seem to force yourself to write? How do you bring yourself to the blank page? What are the most inspiring goals you have for yourself right now? Post your responses at the bottom of this webpage, in the comments section. In the first session of every journal-writing workshop I teach, we spend a little time sharing (and debunking!) the myths and rumors we’ve all heard about “the rules” of proper journal-keeping. So when I saw this question online, I knew I had to make an episode about it. Should I start a certain way? Does each entry need to be a minimum length? Do I have to use pen and paper? Do I have to write every single day? I think people ask these questions because they want some structure, and want to hear some of the “best practices” that have worked for others — not because they want to be boxed-in. Starting from my favorite pet answer, “there’s no wrong way to write,” Jayde Gilmore and I work backwards into a select few guidelines for best results, including: dating your entries, practicing complete honesty and exploration of feelings. Your turn to answer: What journal-writing “guidelines” have served you the best? In what ways do you “break the rules” in your journal? Post your responses at the bottom of this webpage, in the comments section. 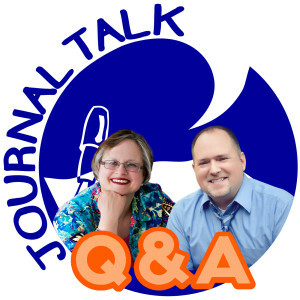 This entry was posted in Audio Podcast, JournalTalk and tagged benefits of journal writing, best practices, guidelines, honesty, Jayde Gilmore, journaling podcast, journaling questions, JournalTalk Q&A, rules of journaling, Wings Life Coaching on July 7, 2015 by Nathan Ohren. 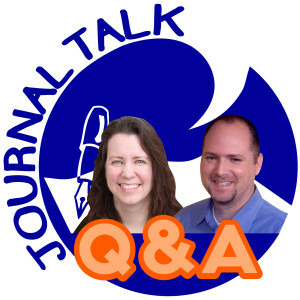 Q&A: “Is Journaling in Schools a Good Thing? It seems like every subject in school is requiring students to keep a “journal” for enhanced learning. My first reaction to this awareness was happy. But I wonder whether students can be truly honest, while they are also hoping their teachers will award them a good grade? Doesn’t this violate some of the defining characteristics of good journaling? Kim Ades, from Frame of Mind Coaching in Toronto, Canada, joins me to answer this and other interesting related questions. You can learn more about Frame of Mind Coaching by taking this assessment. Receive a free consultation from a Frame of Mind coach. 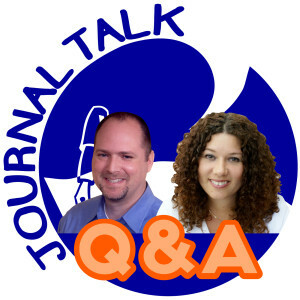 Please let them know that you heard about them on JournalTalk! Your turn to answer: Do you keep a journal as a school assignment? Do you feel it helps you personally, or is it just another assignment? 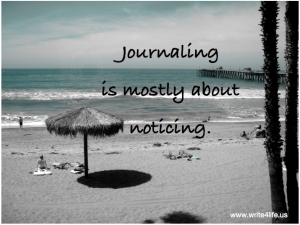 Teachers, how do you see journaling helping your students? Post your responses at the bottom of this webpage, in the comments section. This entry was posted in Audio Podcast, JournalTalk and tagged Frame of Mind Coaching, journaling as homework, journaling in schools, journaling podcast, JournalTalk Q&A, Kim Ades, student journals on June 9, 2015 by Nathan Ohren.